Formatting your visual artist CV in WordPress. Formatting your Curriculum Vitae (CV for short) can be a royal pain using the limited editor features in WordPress. Even with the advanced editor features from TinyMCE there is still no tabbing. You can indent but not between the year and text without creating a return. This is what I want to do: (screen shot from Word) Notice how the list is indented over from the year. I can not do that in WordPress without using a table. Further more this is what happens if I copy and paste directly from Word: I lose the indentation. Solution 1: Stack the entries under the year and get over having indents. 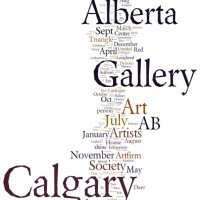 2000 MFA, University of Calgary, Calgary, Alberta. Support Paper & Exhibition. 1999 The Royal College of Art, London, England. Exchange: Printmaking, six weeks. 1998 BFA, University of Alberta, Edmonton, Alberta. 1997 The Kent Institute of Art and Design, Canterbury, England. Exchange: Painting, four months. In order to format your CV using a table you need to access the HTML view of this editing task pane. The HTML tab is at the top right next to Visual above this editor. (with the <tr> tag), and each row is divided into data cells (with the <td> tag). td stands for “table data,” and holds the content of a data cell. A <td> tag can contain text, links, images, lists, forms, other tables, etc. I received this comment by email which presents another way to indent. It’s a CSS cheat but hey. and thought I might tell you of another VERY quick-and-dirty way to get indents in your WordPress text from the text editor. 2010….This is the text of your citation and you can …………make it as long as you desire. 2022….This is the text of your citation and you can …………make it as long as you desire. Then you go back and color the periods to mach the background. It’s not very exact, but it can be done, and yield a “reasonably” clean result.